What Are Volatile Organic Compounds (VOCs) in our Carpet? There’s a wild variety of VOCs in household products. Common volatile organic compounds released into the air are formaldehyde, benzene, ethylene glycol, and carbolic acid. Exposure to such chemical compounds can be hazardous. High concentrations can cause numerous health problems, such as sick building syndrome. Interestingly, good heating, ventilation, and air conditioning (HVAC) systems can reduce adverse effects and boost air quality. The use of an air quality monitor, in particular, is highly beneficial to detect high VOCs concentrations and improve health outcomes. VOCs in carpets are highly alarming. Due to the numerous chemicals used in the carpet manufacturing process, carpets can pose various health risks. Note that one of the main sources of pollutants in carpets is styrene, which is mainly used for the carpet backings. Other sources include textile auxiliaries and polycyclic aromatic hydrocarbons. While it’s a fact that new carpets release VOCs, off-gassing can continue days and even months after installation. In addition, new carpets may emit a strong and distinctive odor. Interestingly, in carpets with styrene-butadiene rubber latex adhesive backing, the emission of 4-phenylcyclohexene is the main cause of such smell. Any VOC emission in carpets can be extremely hazardous. To be more precise, high concentrations of toxic substances, both indoors and outdoors, can cause eye irritation, dizziness, allergies, kidney failure, and cancer. The face fiber of a carpet is crucial not only from an aesthetic point of view but for people’s well-being. Synthetic face fibers contain nylon, polyester, and other polymers. Since the face fiber can trap dust, natural wool and sisal are better alternatives to improve the indoor air quality of the building. The carpet backings are the main source of dangerous emissions. In fact, most carpet backings are latex and polyvinyl. Note that anti-microbial finish can prevent mold. Adhesives are also a source of VOC emissions, so alternative ways of installation are recommended. Note that urea-formaldehyde is used to make adhesives. How to Reduce VOCs Emissions in Carpet? Chemical emissions of pollutants in carpets, carpet tiles, and carpet paddings are relatively low when compared to other household products (e.g. solvents and polish). Yet, people should be aware of risks and levels of exposure. In fact, many brands have started to consider the dangerous emissions and exposure levels in the manufacturing process of their products. Always check if the carpet meets the recommended limits of VOCs. Mind the levels of other common chemicals, such as dye accelerators. In case of gluing a broadloom (wall-to-wall) carpet, use solvent-free adhesives or other alternatives, such as tackless strip methods or cork panels. In case of installation of a new carpet, natural ventilation and good HVAC systems are mandatory. Tests show that organic emissions usually evaporate within 48-72 hours. Installing carpets in moist areas, such as basements, should be carefully considered. Waterproofing may be beneficial to avoid further health risks. Installing carpets, carpet paddings or rugs in kids’ rooms requires additional consideration. Cleaning carpets should be done with low- or no-VOC products. To sum up, there are different ways to get rid of hazardous compounds in order to improve air quality and well-being. From natural products to air monitors, more and more carpet manufacturers have started to implement strict regulations. 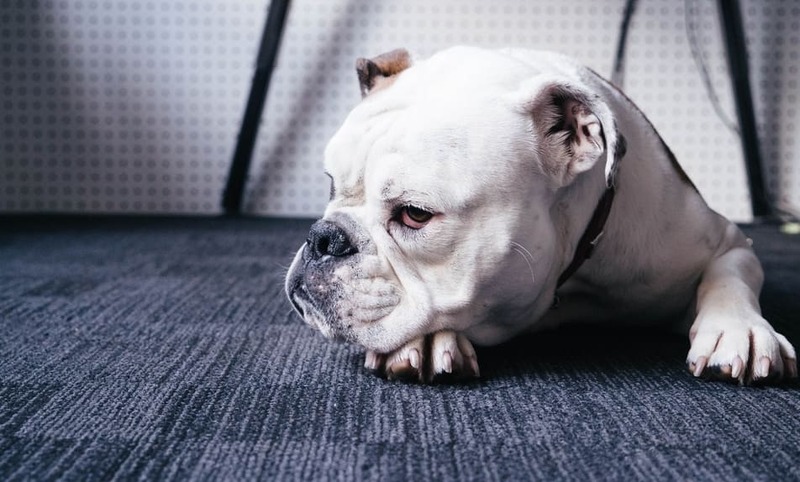 In case one is not sure about the current safe VOC levels, the smell of a new carpet can be a sign of alarming emissions. Therefore, it’s no surprise that natural ventilation can only benefit people’s well-being. Such practices are relevant not only to people’s houses but office buildings where high VOC concentrations of hazardous particles can lead to poor environmental health. Take a step towards clean air living!